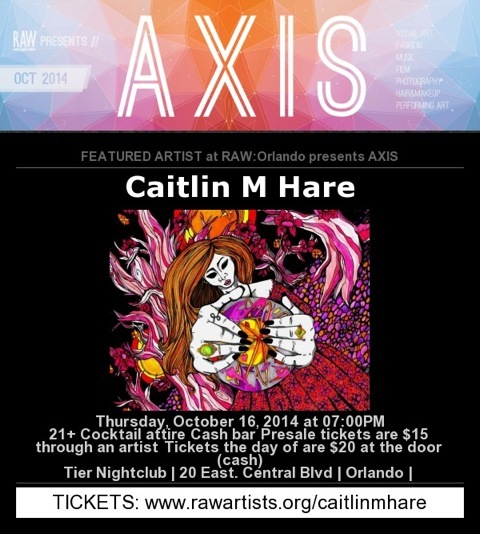 FSU Art ’15 BFA Caitlin Hare has been selected to participate in the Orlando RAW Artists October Showcase. She will be presenting original artwork with a number of other up-and-coming student artists from multiple disciplines. The event will be Thursday, October 16th in Orlando, FL and tickets can be purchased through her artist’s profile at rawartists.org/caitlinmhare. More of her work can be seen at facebook.com/caitlinmhare, where she encourages followers to check in!